The Islander Ash Leaf handmade banjo on which the new Shackleton banjo will be based. 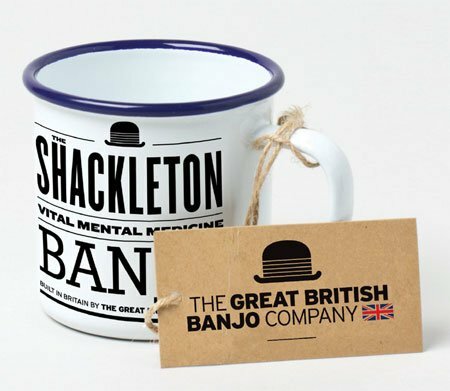 About the company: Established in 2010, The Great British Banjo Company manufacture banjos in the UK and have just embarked on a project to produce The Shackleton, the first affordable British banjo made here for around 60 years. Production of what they call ‘The People’s Banjo’ will create a number of jobs for skilled people in Norwich, and in a small way reinvigorate what was once a great British industry. They are aiming to fund this project through a Kickstarter campaign. Simon Middleton is MD of The Great British Banjo Company, and we caught up with him to find out what makes The Great British Banjo Company so unique. How did you end up in the Banjo business and what did you do before? I’ve been a musician for most of my life, singing in bands, playing guitar, and songwriting. My most recent band The Proposition made an album in 2011/12 which got terrific reviews in the folk-acoustic media, but my day job since early 90s has been advertising and marketing, and brand strategy. A few years ago I was giving a seminar on brand development to MBA students at University of East Anglia and was challenged to create a brand of my own in a new sector which I had no experience in. Because I’m a musician, and left-handed (having struggled all my life with the lack of lefty instruments in most music shops) I created a brand called Left Hand Bear (so called because most bears are left-handed… really) which specialised in left-handed guitars and banjos. The banjos really took off and people asked us for right-handed models. So we dropped the (very small) Left Hand Bear business and got serious with banjos for everyone (regardless of handedness). Happily, just as we began there was also the beginning of a banjo renaissance in the UK and USA, and we grew rapidly to become the joint number one UK banjo specialist retailer. I still write books about branding, but most of my time is focused on our retail brand Banjos Direct, and now on our manufacturing business The Great British Banjo Company (which is the only British volume-production banjo manufacturer). 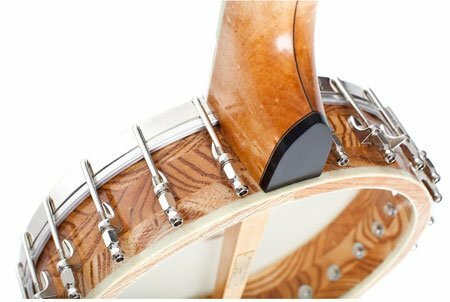 The People’s Banjo is really just a kind of shorthand for our mission, which is to make a good quality basic banjo in Britain at an affordable price. British handcrafted instruments are prohibitively expensive for most people. But The Shackleton will be produced in volume and thus will be affordable. We are also willing to accept lower margins on The Shackleton in order to keep the price affordable for most players. What sort of people buy your banjos and where do you go to learn to play one? Our banjos are bought by a terrific variety of people, but we have two substantial demographic groups. The largest is mostly male, over 50, people looking for a fulfilling and challenging pastime. Some of these middle-aged men (I fit the profile exactly) are already guitar players and are looking to expand the range of instruments they can play, either for enjoyment at home, or because they play in bands (banjos are popping up in bands of every genre). Many, and particularly people aged 55 plus, have never played an instrument before ,or haven’t played for many years, and they rightly see the banjo as an accessible and enjoyable instrument that is actually easier to play than guitar. The other big group for us is people under 25 (and these are girls as well as boys) who realise that the banjo is now cool, hip and a key part of the sound of folk and roots music which is having such a huge revival (Mumford & Sons etc..). People learn from YouTube initially. And then many will buy books or DVDs or get lessons from the growing number of banjo teachers. 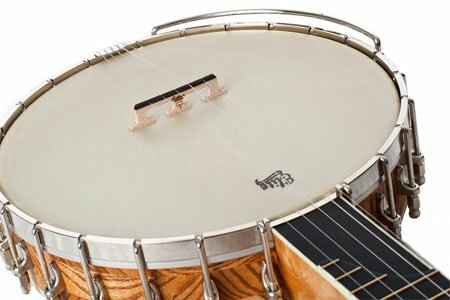 The Shackleton is being manufactured in the UK (which makes it unique as a volume production instrument… there hasn’t been a banjo industry in the UK since the Blitz). 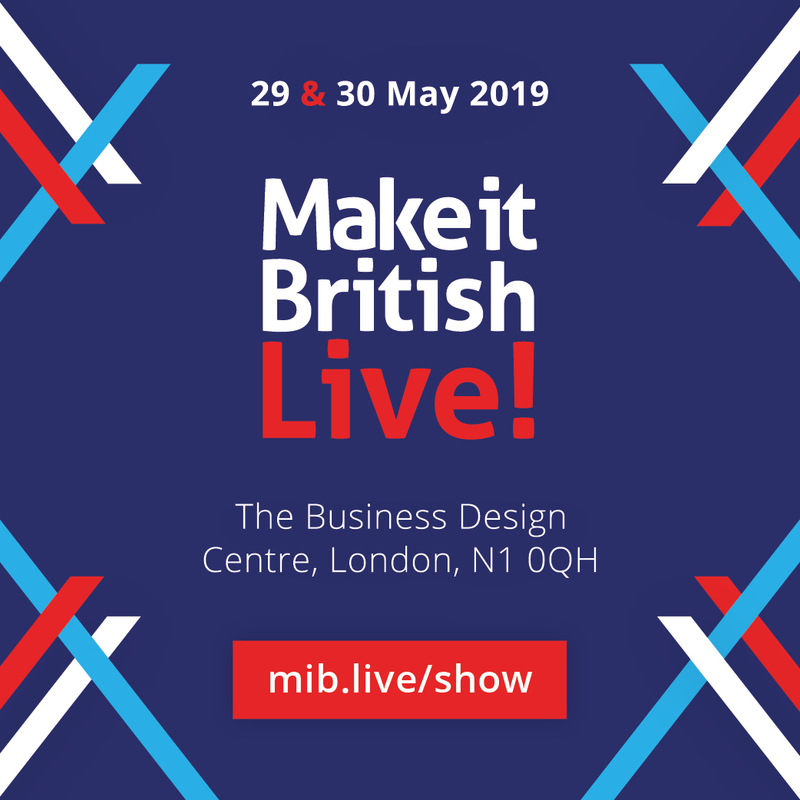 The necks are being made by Britain’s most highly respected electric guitar company, and the rims (the body of the instrument) are being made by the UK’s leading drum manufacturers. The assembly and finishing of the instruments will be done by us in Norwich, Norfolk. 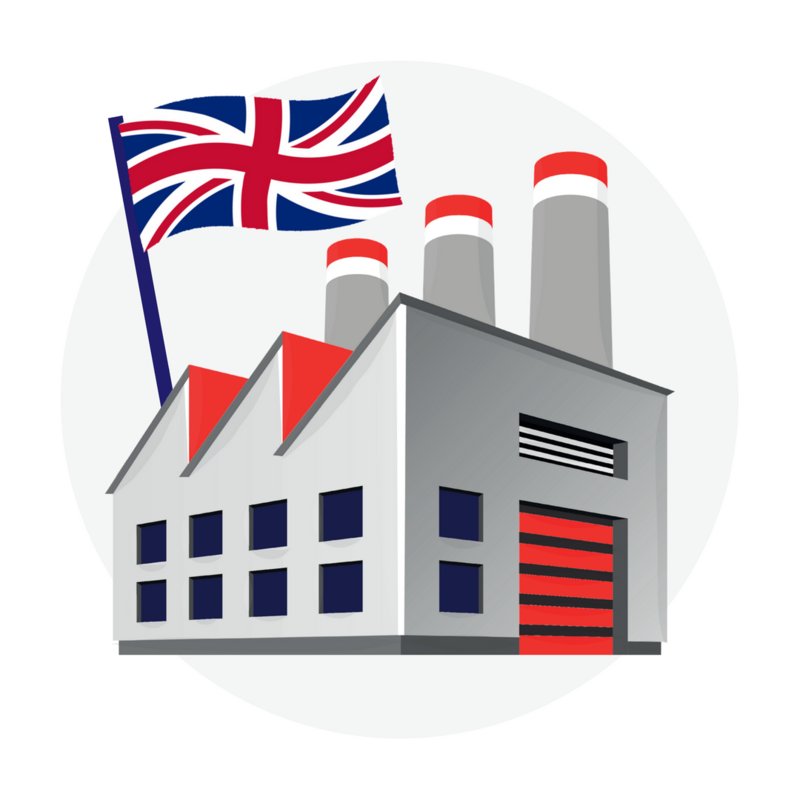 The hardest elements to get made in the UK are the metal components. These will be made in UK in due course, but our first production run will utilise imported parts (probably from USA). How much more expensive will the British banjo be compared to an imported one? The Shackleton will be priced to compete directly with the most popular intro level American-made banjo, which retails over here for £300. There are slightly cheaper Chinese instruments available and we can’t compete on price with these, but we think it’s a reasonable approach (and a better offering for the customer in terms of quality) to compete with the American made best seller. Why do you think that the time is right for a British Banjo revival? We didn’t create the banjo revival. It’s part of the global interest in folk and roots and acoustic music. We are part of that resurgence. But it is definitely the right time to produce a British made banjo to be a part of that movement. There used to be a thriving banjo industry in Britain before the Second World War with dozens of independent companies producing many thousands of instruments a year. Now virtually all banjos are either Chinese or American. 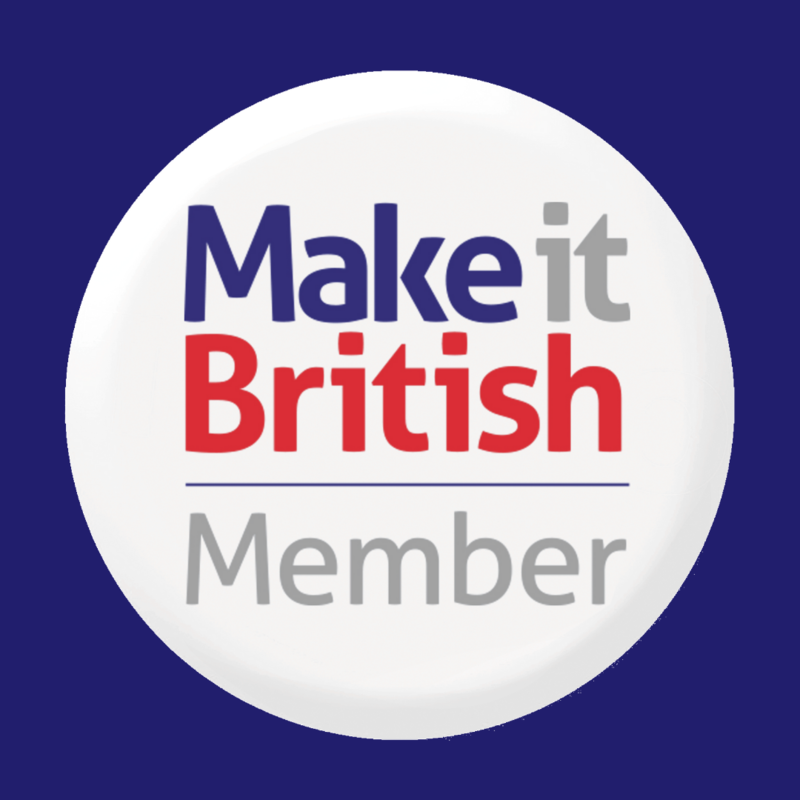 We know that it’s time that Britain was represented in the sector again… and we’ve had great interest from all over the world in what we’re doing. Find out more about The Great British Banjo Company in our directory.